Chocolate chip banana anything is pretty much my favorite. Bread, muffins, shakes, all so good. 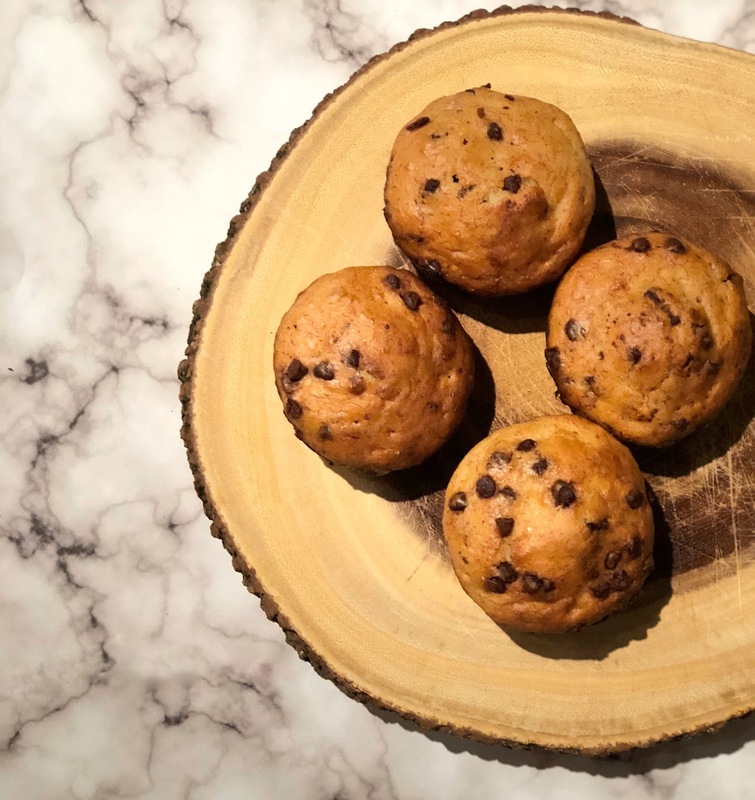 I have been making these muffins for a while now, but I usually have three or so recipes open in different tabs, then mix and match the ingredients that I think make baking sense. Last time I made these treats, I decided to document my process and share it with you all. These muffins are soft, fluffy, and non-vegan approved. 2. In a small glass make your flax egg and let it sit. 3. In a large bowl, mix flour, sugar, baking powder, salt, nutmeg, cinnamon, and cloves. Make a well in the center of the mix. 4. In a smaller bowl, mix vegetable oil, mashed banana, flax egg, and ¼ cup of almond milk. Pour the mixture in the well in the larger bowl and stir. Add in last ½ cup of almond milk and stir to moisten. Add in chocolate chips. Mixture will be lumpy. 5. Fill greased muffin cups about ¾ full. Bake for 25 to 30 minutes at 400 degrees. Cool on wire racks.